We believe that software development is an art by itself, and when it comes to algorithmic and architectural design we are that kind of artisans. 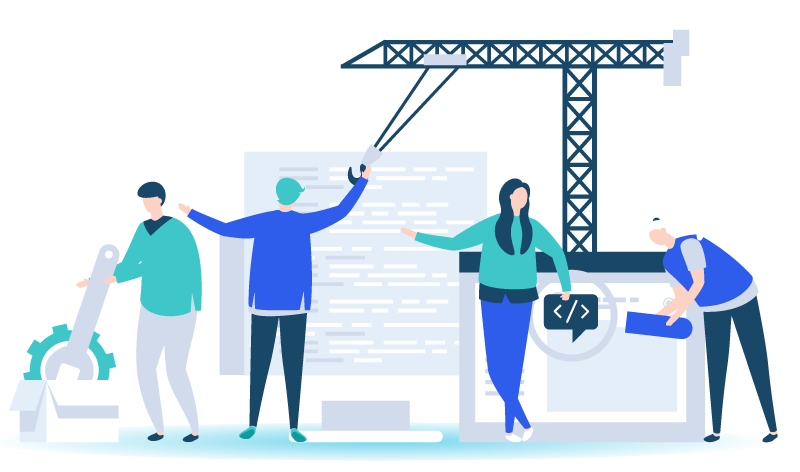 From data insights, to machine learning and front-end development, every company has a lot of inner potential; let us help UNLEASH IT with you. We always focus on delivering both online and offline specialized software for different kinds of businesses, which not only cover accounts but also help in managing your business in your way. We can develop websites that are uniquely created with high scalability. We develop enterprise-grade websites for every business that can result in better reach and hits. Get your business up online and start selling with Magento, WordPress and Custom CMS. Your product is tested by experts. We provide web, social media and content analytics to our clients. We train and educate teams on the tools, organizations, and opportunities provided by the digital world. Our strategy, process, technology, and integration expertise and phased implementation approach ensure that clients realize immediate business values from their web initiatives, while minimizing implementation and operational risks, reducing the overall cost of ownership and ultimately leading to achieve a faster and larger business return. Through initial assessments, proven methodology, and our mentoring approach, we ensure that you have the knowledge you need to avoid project delays and implement the right solution. The tools, training, and streamlined development processes add up to less time wasted and more efficient planning and design. Build it right from the first time. Working with our consulting services ensures you get more out of software projects with field-proven best practices, “been there done that” experience. By reducing your project risk, your on-going cost of ownership is lower. I like the agility of ECONCEPTS team, mobilizing resources to develop our AWS cloud pilot project was never easier ! Why not start a pilot project to prove the concept? ©2018. eConcepts-Middle East. All Rights Reserved.